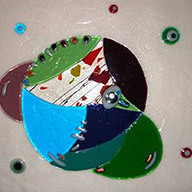 Basic courses are geared towards beginners looking to familiarize themselves with the fundamentals of artistic glassmaking, whereas advanced courses are tailored to those who wish to expand their knowledge of various techniques. Each student is individually monitored. 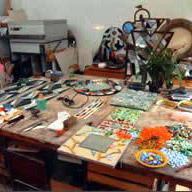 Course materials and tools are furnished by the school. 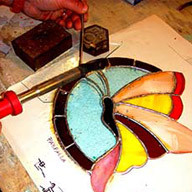 - Designing and creating small glass panels and artifacts, using the Tiffany technique. - Designing and creating two mosaics using different materials. 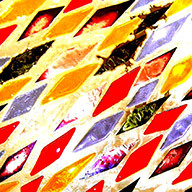 - Classification of glass used for fusing; - Interaction of glass types and their expansion coefficients; - Introduction to the kiln; - Basic glass cutting; - Creating two objects in polychrome glass. The course is tailored to the specific project chosen by the student and is monitored through all phases of completion. Tuition cost is based on materials used and hours needed to complete the project.